The public is deeply interested in Southwestern archaeology but often needs a non-professional to interpret and synthesize archaeological findings. Beginning with his book In Search of the Old Ones (1996), David Roberts has done just that, but with a crucial twist. Not content just to read about archaeology, Roberts visits sites, especially remote ones. He has helped create a genre of archaeological adventure tourism that requires four-wheel drive vehicles and backpacks for access and complicated route-finding on steep cliffs and canyon ledges. 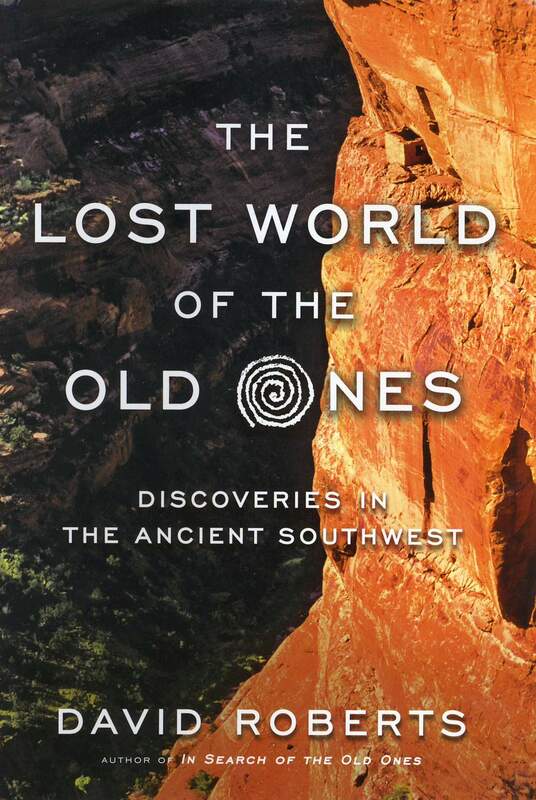 Now in a sequel, The Lost World of the Old Ones (Norton Publishing, 2015), Roberts writes about current archaeological perspectives on prehistoric Ancestral Puebloan and Fremont cultures as well as historic Navajo, Comanche and Puebloan people. He covers a wide swath from the Tavaputs Plateau, Nine Mile Canyon, Range Creek and Cedar Mesa in Utah, to Canyon de Chelly in Arizona, Chaco Canyon, Santa Fe Canyon and Puye Cliff Dwellings in New Mexico and Casas Grandes in Chihuahua, Mexico. We enjoy delightful discussions and heated arguments with scientists like Scott Ortman, Steve Lekson, Bill Lipe and Eric Blinman. Roberts introduces the reader to crusty rancher Waldo Wilcox, who preserved one of the most important Fremont sites, and to researchers like Fred Blackburn who advocates for an “open museum” policy on public lands by leaving artifacts in situ or in place. For the dedicated hiker, the goal is to earn your own discoveries. Roberts captivates the reader with the thrill of finding artifacts and ruins and the ever-increasing challenge to leave them alone. He writes that some places such as Cedar Mesa are “teetering on the edge of a cultural and environmental crisis” because of too much visitation, while admitting it is one of his favorite places. The book is full of insights on Durango’s eighth-century Sacred Ridge (part of the Animas-La Plata Water Project), mysteries about Fremont people and the power of the Tewa language to map Anasazi migration from Mesa Verde. A favorite chapter describes the Fremont culture’s rare unfired clay figurines and the Telluride blanket, the only colored or dyed Anasazi weaving. Roberts condemns pothunting or illegal artifact collecting but also sharply criticizes archaeologists who do not publish their research results and who may collect hundreds of potsherds for later analysis, thus destroying the context where the sherds were found. “Meaning is nothing you can put in a plastic bag,” Roberts argues. This reviewer sympathizes with Roberts’ concerns. When a writer has an unparalleled adventure locating a remote defensive Anasazi site on a windy Utah cliff ledge with a 600-foot drop-off, it is hard not to write about it. Roberts gives no directions and names few sites. Instead, in his new book, we share his thrill of discovery both on the ground and intellectually. For Southwestern aficionados, The Lost World of the Old Ones deserves a place on the shelf. Andrew Gulliford is the editor of Outdoors in the Southwest: An Adventure Anthology (2014) and a professor of history and environmental studies at Fort Lewis College. A book signing with David Roberts, author of The Lost World of the Old Ones, will take place at 6:30 p.m. Monday at Maria’s Bookshop, 960 Main Ave.